An idea popped in my head and I couldn't get it to shake. I quickly glanced at my phone as I texted her, “Would you eat chorizo in pasta for breakfast?” I’d meant to say to say brunch but the haste of my day caused me to be in a rush. “Oh, well I thought”, she’ll get the point. She responded almost immediately, “that’s kind of heavy for breakfast but I’d do it for brunch; especially if I was invitin’ people.” I smiled as that was exactly what I was goin’ for. Brunch it’d come to be my favorite meal of the weekend. The meal I spent much of my blogon. Well, what kind of Dallasite would I be if I wasn’t brunch obsessed I figured. I’d give myself a pass this one time that I was cookin’ a brunch style meal for dinner. Everyone else could just deal. There I stood barefoot in the kitchen. 1. Cook your pasta accordin' to the directions on the package. I used about 3-4 ounces. 2. Fry the bacon and then set it aside. 3. In the same pan add a little olive oil as well as the chopped garlic, bell pepper and onion as well as the chorizo. Cook until the veggies are tender and the chorizo is done. 4.I in a dish ( I used a cast iron) add the pasta, beans, meat and veggie mixture, bacon you have now chopped, Ragu Homestyle and purple hull peas. Stir. I love Ragu Homestyle sauces for the flavor and quality they bring. I wouldn't keep partnerin' with Ragu if I didn't actually use them and love them. Y'all have a great brunch this weekend and let me know what's on your menu if you stayin' in. 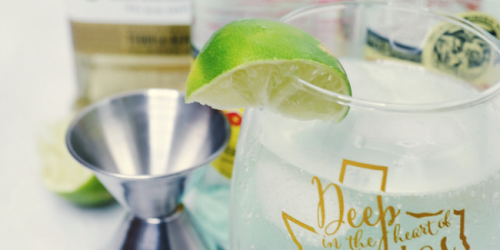 GIVEAWAY ALERT: All, you have to do is click the sponsor link here and then come back and comment your favorite recipe. Giveaway ENDS MY BIRFDAY SEPTEMBER 29TH 2016 AT 11:59 EST. Winner will be emailed immediately after. You'll win a $25 dollar VISA/Target/Walmart or Starbucks gift-card. Winner will get to chose. Howdy! Y'all I fancy I have a giveaway for all y'all. 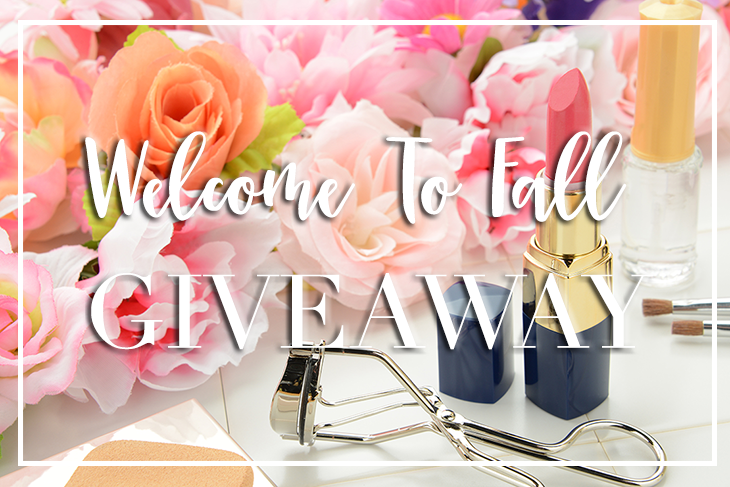 Let's celebrate the start of Fall, Football and Friends with a cheeky little giveaway. 'Cause who doesn't want the chance at $500 dollars to do as they please. The giveaway is INTERNATIONAL. You must be 18+ to enter or have a parents permission. Void Where Prohibited by law. Here’s how it works: Use the Rafflecopter below to earn your free entry, as well as all the other entries by fabulous bloggers below. (150 chances to enter total), so I suggest you pace yourself when enterin'. You have until September 26th, 2016 at 11:59 PM EST to get all your entries in.
" If you trust your rebel heart, ride into battle... Don't be afraid, take the road less traveled... wear out your boots and kick up the gravel... Don't be afriad, take the roead less traveled on... oh, ooh-whoa, oh, ooh-whoa take the road less traveled on. " The lyrics of Lauren Alaina's song haven't left my ears all summer as I've traipsed around Texan generally bein' a rambler. This summer has been one of my favorites in a log time. All the general explorin' and Texas sun that has kissed my face has been more than enough to last a lifetime. Guess, it's a good thing I live in the great state and don't plan on leavin' anytime soon. It's been forever and a Texas moons since I've done one of these but here ya go. A few things I've been lovin' here Down South. 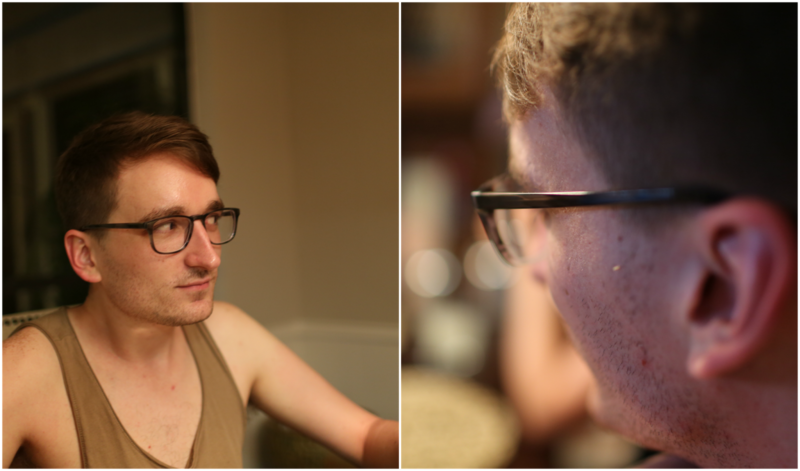 Photos: Brunch. I am a Dallas Lady after all. This beauty comes from my new favorite Deep Ellum spot Anvil Pub. And if you ever need other Brunch recommendations I got ya.... right here // Glazed Donut Works in Deep Ellum /// Magnolia Silos in Waco Texas. 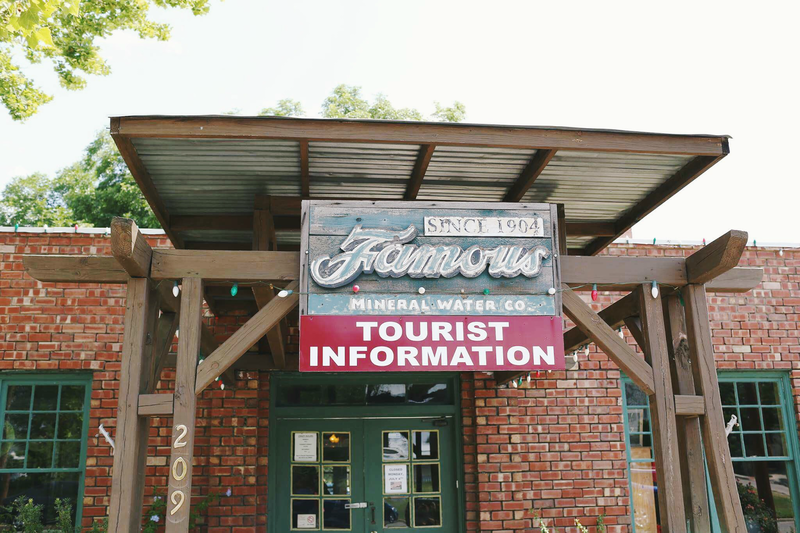 Finally took a day trip out to Waco to see what Ms. Joanna and Chip have been gettin' themselves into and I am thoroughly impressed with how they are revitalizin' that town /// Y'all already know my big claim to fame is the #TravelinTexan bucket list. 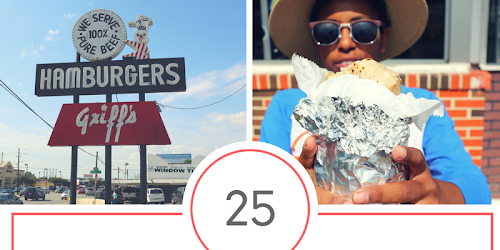 Well "Haven't had a kolache when you go through west, never heard of The Larry Joe Taylor Fest, Think polished pop country crap sounds the best, then you ain't met my Texas yet" /// Did y'all ever read PART 2 of The #TravelinTexan bucket list... well. Kruez BBQ is not only a must but on it. Plus, It's nice when you don't wanna wait for Franklin's and around the corner from Smitty's which is also a bucket list contender. Current Obession: Lean Pockets.. I know I know but really they are. I've eaten Hot Pockets for years and most of last school year it was all I ate in my classroom. Students would come in or I would be walkin' down the hall carryin' a hot pocket. Other staff and teachers would smh at me. I just love all the cheese. Well, now that Lean Pockets e has all these healthier version with real cheese I am soo game. Gotta counter act all that unhealthy sweet tea I drink. Plus ain't nobody got time to be hangry. Like for Texas y'all. I ain't got time for that. Between tryin' to be The #TravelinTexan in between that 9-5 I just don't. And I really like cheese. No seriously it's a problem. As a kid Daddy always got onto me cause I was always eatin' the cheese in the house and then there was never any to cook with or make sandwiches. The Olympics.. .like how why. I would love to get in the mind of some of those athletes and see what compels them. Especially the ones from the smaller countries where they do not have a precedent set. So now I'm askin' yall. Tell me all about your summer. Any good trips local or far away. I have much more to share but for today that's enough. Not go get ya some Lean Pocket coupons and let's be frans. No, really it's a link to a coupon cause there is no shame in my game and there shouldn't be any in yours either. Ready. Set. Go. 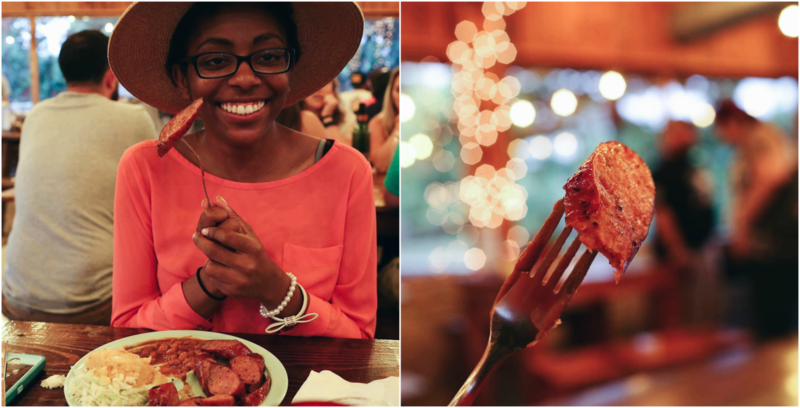 Oh, sweet tea and grits… this is my ode to thee. I still remember the time I tried thee both. Oh, sweet tea and grits you love thee so if you’ve spent any substantial time in The South then you know these two go hand in hand. Tea is sipped as soon as a bottle can be held and perfectin’ the perfect pot of grits is a rite of passage; One not to be takin’ lightly. Much of my adult life has turned into how I could perfect pot after pot of grits. Have em’ creamy enough to make your Grandma holler but not so much that they lost their Southern appeal. I’d prided myself on the fact that I reckoned I could make a pot of grits better than the next Texan. After all they were Texans. My family went back many Deep Southern generations. 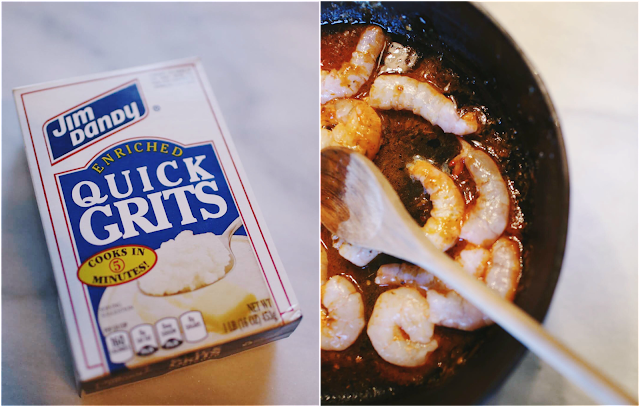 I still remember the last time I tried my hand at Shrimp and Grits. I convinced Momma to throw a brunch bridal shower for one of my bestfriends. Any and everything was on the menu and I was determined to impress. After an hour of near tears and grits everywhere to high heavens I admitted defeat with tears in my eyes and burns on my hands. Paula Dean would be so ashamed. “ I like to think I do,” I respond as I tell him how my grits are made. “No sir”, Now, I ‘m really listenin’. “So they cook evenly and have a good consistency”, he finishes. 1. Bring 2 cups of water and a cup of chicken broth to a boil. 2. Once boilin' stir in the grits. 3 After they have cooked for a min stir in the heavy cream and to half and half. Turn down the heat and let them simmer until they thicken. 4. Stir in 2 tablespoons of butter and a pinch of salt and your grits are ready to go. 1. 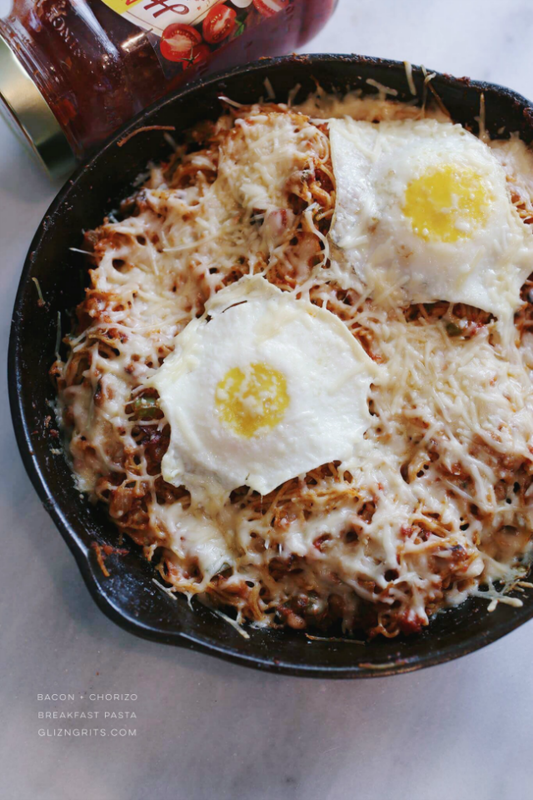 I use a cast iron but you may use whatever pan works best for you. Heat 2 tablespoons of butter, 1 tablespoon of olive oil, 1 juice of a lemon, the hot sauce, red pepper and oregano. 2. Ingredients should begin to make a small sauce. 3. Toss in shrimp and cook a few minutes on each side until they are pink and done. 4. 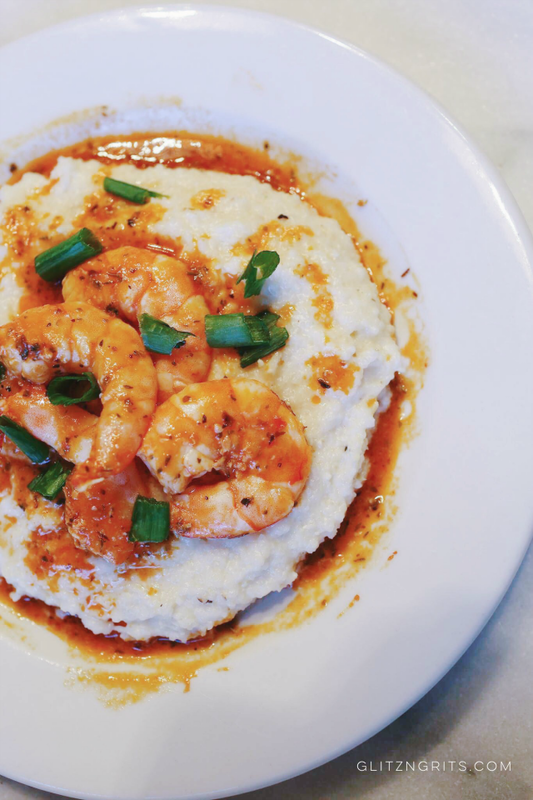 Serve over grits and enjoy. Next to Jesus if it has Texas sweet tea or Grits in it y’all already know my whole life is down. My entire life, y’all and probably why this necklace from Heidi J Hale is my favorite. I had them engrave the sweet tea and grits in it and it came out fabulous if I do say so myself. It only leaves my neck to sleep and shower. 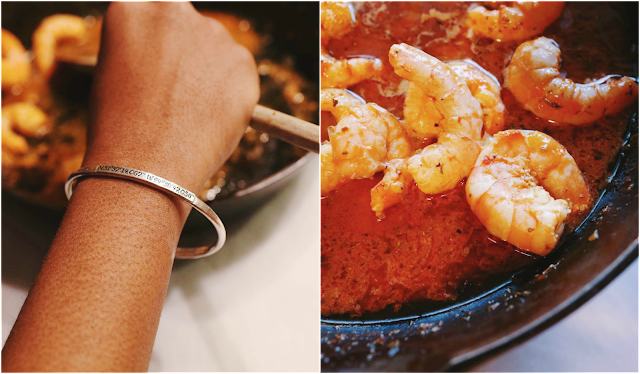 The bangle bracelet you see me sportin’ as I cook has longitude and latitude coordinates. The coordinated represent where my heart is. Nacogdoches Texas, also known as the oldest town in Texas and where I went to college. But, what I’ve come to appreciate most as of late besides a good bowl of grits is supportin’ small business. I read recently that when you shop small business 80% of your dollar stays locals compared to the 20 percent when you don’t. Y’all thats enough incentive for me to support some lovely artesian ladies that are makin’ handmade jewelry usin’ only precious metals and natural gemstones. I love y'all so much it's giveaway time. Heidi J Hale makes the cutest 'Say it on a Ring' rings and i'mm give y'all the chance to win a set. Click here for the details and to enter. And before I go I just gotta know... sugar or salt in your grits? "Crazy Water is just some bottled water, What even? You still wanna go?" I texted. She responded quickly, "I don't care. We'll be that way anyway if we are headed to Possum Kingdom for the fireworks. What time you wanna leave? I gotta go luggage shoppin' in the mornin' with Momma." So. I arrived that Saturday mornin' on Southern time as always ready to taste all the water. We arrived in Mineral Wells a little after lunchtime to a deserted main street. We promptly hustled into the only open local cafe desperate for salvation from the Texas heat. The young boy at the counter looked at us with amusement when we declined his day old shrimp po-boys. We'd come for one item and it wasn't food poisonin'.We ordered out water and quickly left out to find food. Minutes later we found our-self at the Mineral Wells Co. ready for pictures and touristy information. I scrunched my nose as I tried each bit of water. This tasted nothin' like medicine and wasn't as bad as the young boy made it out to be.
. 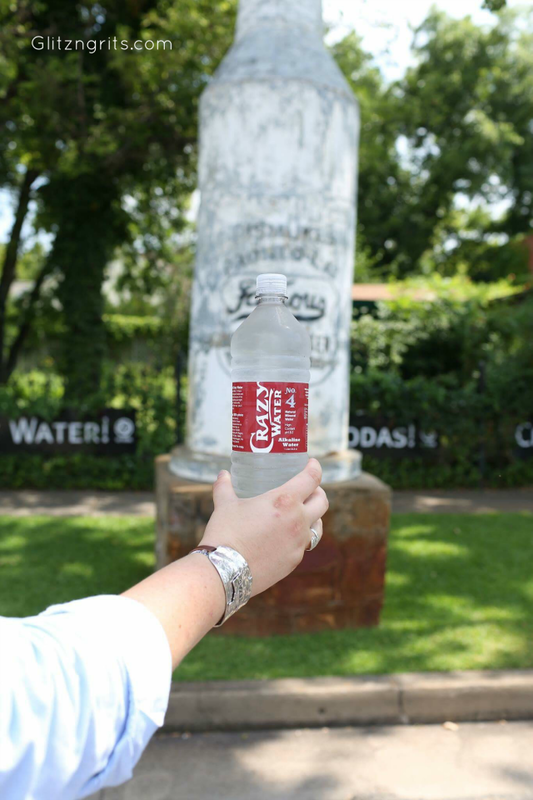 Mineral Wells Crazy water is #124 on the #TravelinTexan bucket list. It's famous for the Baker Hotel and it's "Mineral Water"
The "mineral water" got it's claim to fame when a crazy elderly lady was "cured of her crazy" and a man was cured of his stomach problem. People start flockin' to taste the water and it was soon bottled and sold. Essentially Crazy Water is Alkaline Water among a few other things that's all natural . Crazy Water comes in different levels or numbers and each number has a distinct taste. II'll never forgot the first time I learned of the famed Salt Lick BBQ. It was summer of '14. A few of the boys invited me on their Austin adventure. They even offered to let me pick a few items on my #TravelinTexan list to complete. I new there'd be a catch. They NEVER invited me on Texas adventures. They wanted to spend the day at Jester King Brewery and needed my assistance to bring home items. HA, I knew my invite wouldn't be that easy. We spent the day loungin' in the Texas heat until someone hollered BBQ. The Salt Lick BBQ was but a few towns over and they were determined to get their behinds there. I agreed figurin' It'd be somethin' I could add to the second part of my Texas list. We sat in the car quiet cause I didn't realize they loved BBQ so much and I didn't want them to know I had spent so much time that previous week at Texas BBQ Week. They'd be mad I hadn't invited them along for the eatin'. I hid my guilty belly as we rode on. Summer of '16 we 'd eaten more Watermelon at Luling Texas Watermelon Thump than we cared to admit. We need meat sustenance now. 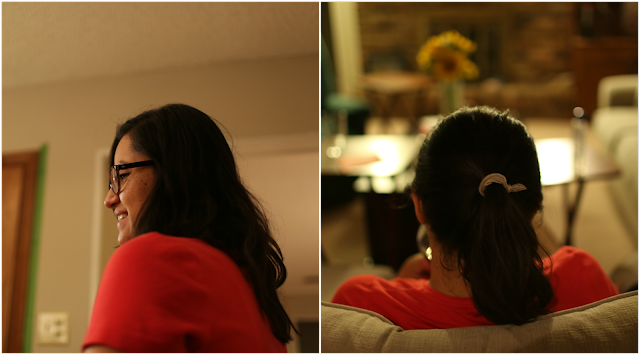 She turned to me and goes, "I want BBQ. I see we are not far from Salt Lick and it's on your list. I looked. Wanna go?" I didn't wanna tell her I'd already been. I muttered my, "sure", as we loaded the car. On the drive over as the GPS went haywire for the millionth time I whispered, "I've been but it's fine cause I never got my money shot and the food is so good. But, now you owe me a trip to Franklin's BBQ"
Cash Only. 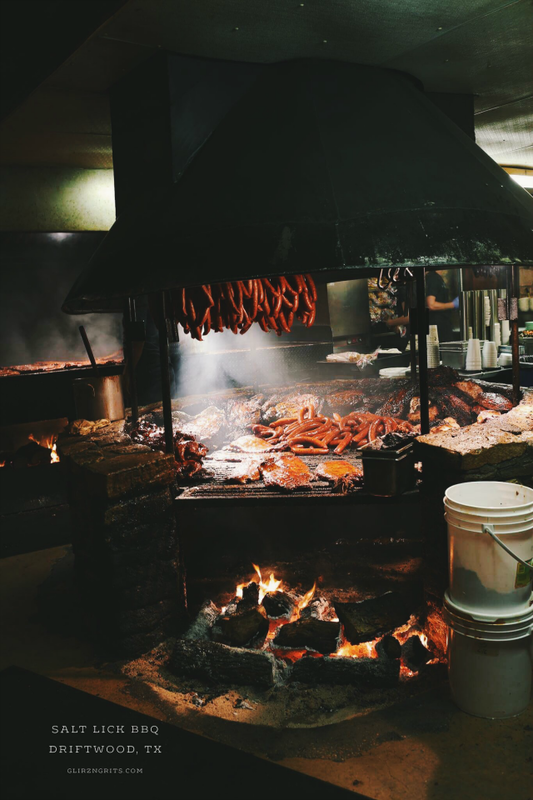 When the original owner came from Mississippi and brought Salt Lick to Texas he had 12 things he never wanted to happen at his establishment. All but 2 are still standin'. 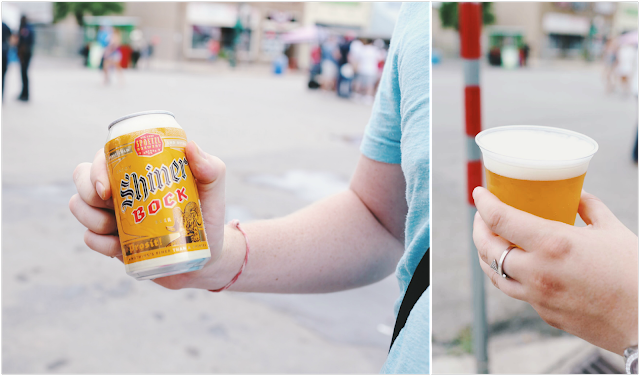 That brings me to the second one... BYOB the original owner never wanted alcohol sold at The Salt Lick BBQ. The Salt Lick Cellar that is attached and has wine and beer is technically a separate entity just on the property. There will be a wait but it's ok cause you can lounge on the patio and listen to some good Texas Country. This is Texas BBQ my frans. I've waited upwards of hours and it was worth every bit of standin' in the Texas heat. If y'all can eat the meat plate is your friend. Who doesn't want that much BBQ for less than I fill up my Ford. Burnt ends are always your fran. It's how you become a true Texan. 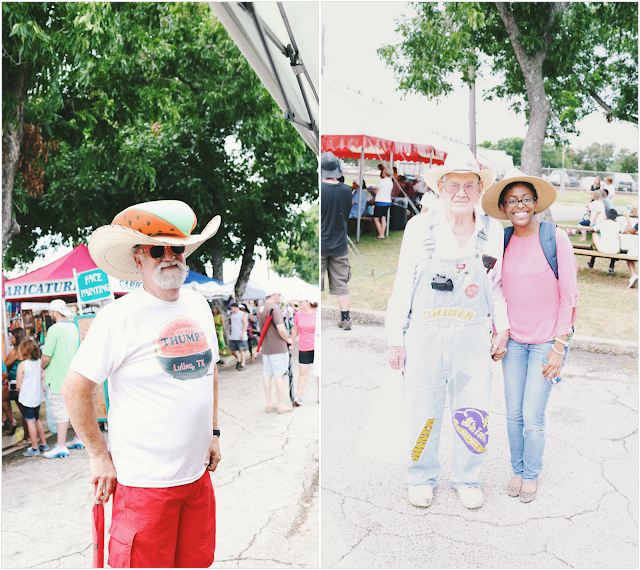 Have fun with some real Texas BBQ. Come early that way you have enough time after to make the short trip over to Austin, Texas. I promise it won't disappoint. 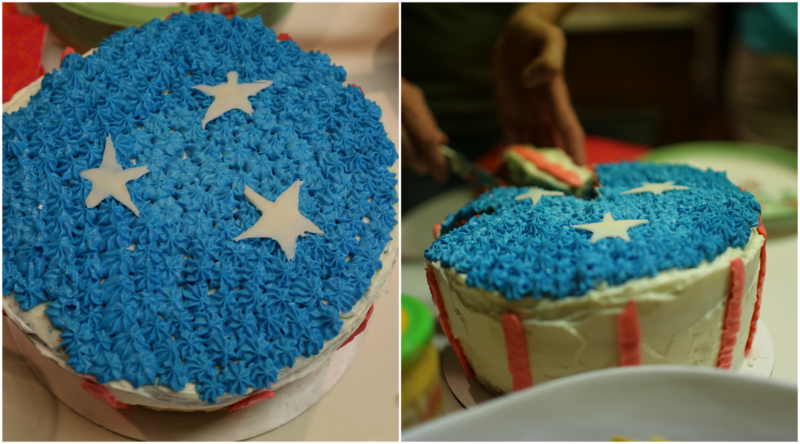 Fourth of July has long been one of my favorite holidays. While we'll always have a ways to go it's a great time to celebrate how far we've come. A chance to be around family and those we adopted as family. I enjoy livin' in a state that celebrates to Independence Day's every year. It's also a perfect chance to try out new recipes on loved ones. Like this brisket recipe. 2. Spread the wet Mustard Seed. I know, I know it isn't a true dry rub since I add wet but you'll live. I like a little somthin' to help my seasonin' stick to my meat. I crushed a bay leaf and add it. 5. Now impress all your friends this summer. In Texas if you have to put BBQ sauce on someone's BBQ it is considered an insult to them. But, if you feel you must I recommend Snows sauce. You can read all about it here and see pics and links to the other products I mentioned. I pulled up to her house at 8:32. Thirty-two minutes later than I said I would. Would you expect anythin’ less? After all, I work on Southern time. A joke I made many weeks back when I was visitin’ the East Coast and didn’t understand why everythin’ moved so fast. The whole riders on one side, walkers on the other when takin’ the METRO escalator in DC utterly blew my mind. What’s was the point of an escalator if you were just gonna run up it? No, really, I’ll wait for that answer. But, I digress. Happens a lot I suppose. We loaded up the Ford ready to hit the open 35 road. Hill Country was to be our destination; I have much Texas to see in my quest to be #TravelinTexan (ya know my viral Texas bucket list... the basis of my blog) and not an inch of summer was to be wasted- perks of bein’ an educator. I’d never been to Luling and didn’t realize we’d be so close to Austin. Okay, maybe I did but figured if I famed like I didn’t know Steph would be more likely to tag along. It worked. To Luling we were headed. The Watermelon Thump to be specific. 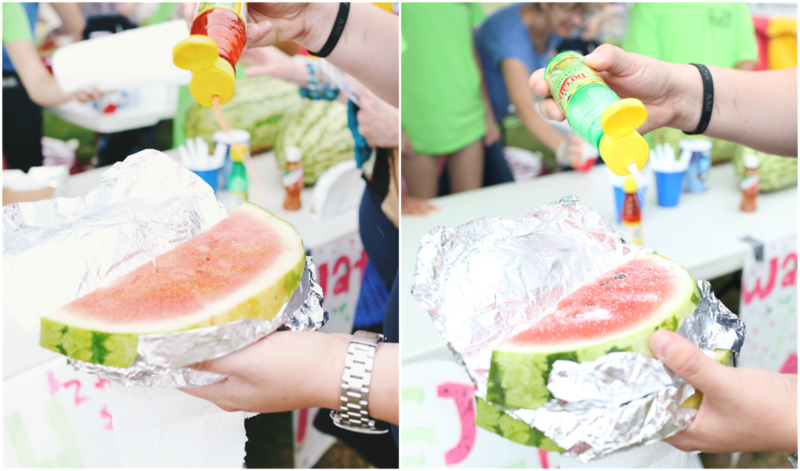 I could just taste the watermelon covered in salt as we hit the road outta town. We stopped once. Could it really be a hill country road-trip if you didn’t “have a Kolache when you drive through West?” Shh, Steph doesn’t like Czech Stop so we hit up Slovacek West. I’d been there and either was fine for me. All the while I munched on Paqui Tortilla Chips. The health benefits and gluten free locals boasted on the package in hindsight made me smile. All I cared was that they were Texas Made and tasted good. I lathered in Yellowbird Sauce doin’ my best to stay awake durin’ the four hour drive. 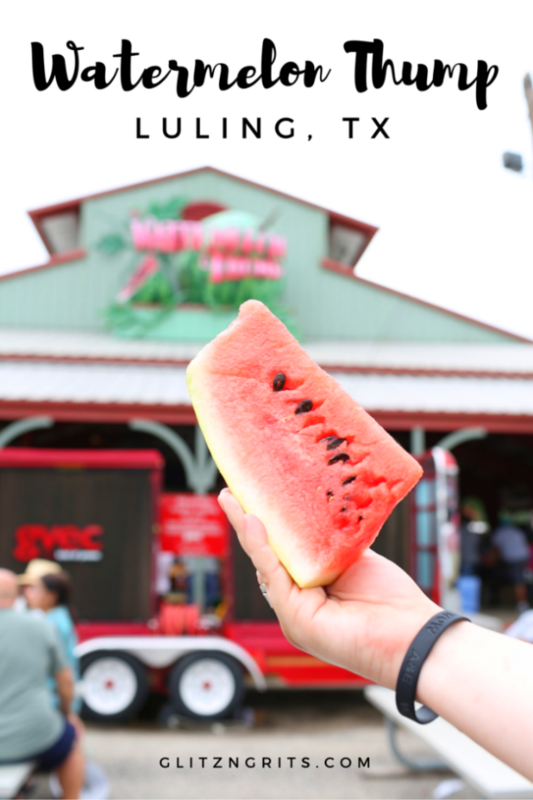 We finally hit Luling Texas home of the famous Watermelon Thump. I stared at the sky darin’ the clouds... darin’ them to spout rain in my direction. My excitement was tangible. 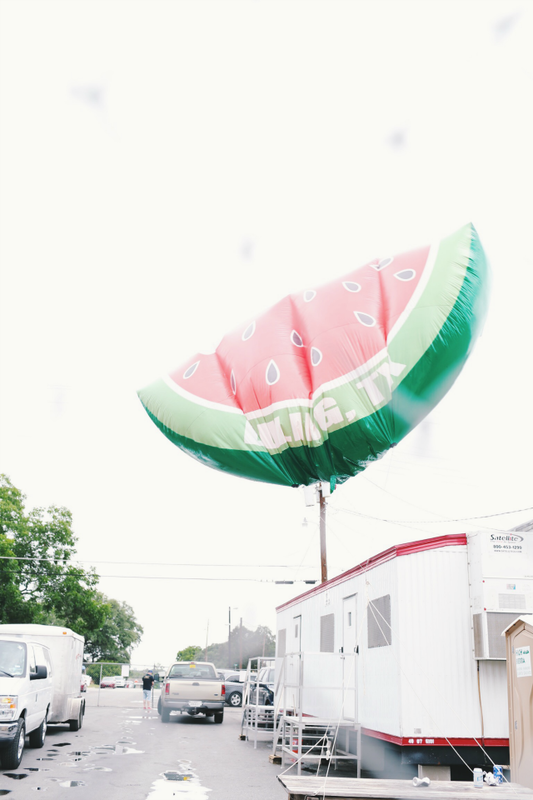 I needed all the watermelon in my belly and all the photos on my camera. We roamed around with childlike innocence. 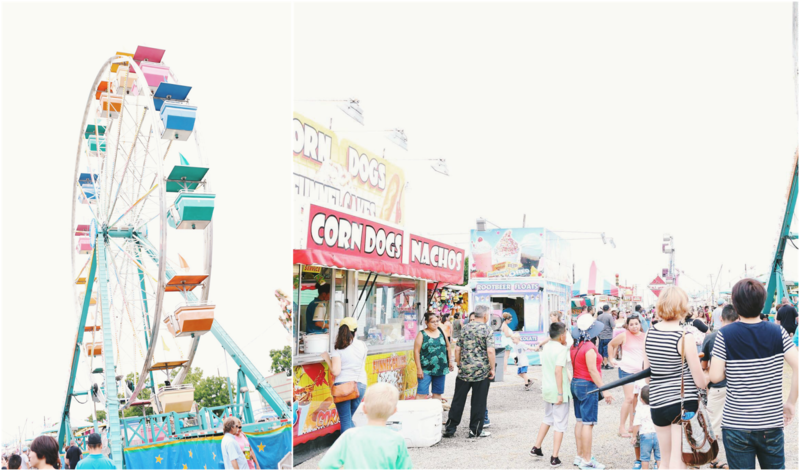 Each experience and person a new adventure we wanted to savor before it was gone. I spent much of my time with one roamin’ question in my head: “Why Texas?” Truthfully, Ozarka wasn’t the first to ask this and I’m sure wouldn’t be the last. Seems every time someone new comes ramblin’ I’m asked what I love about Texas. I could fill pages upon pages the size of The Alamo. Honestly, it’s more than my birthplace, my state, my home. It is me. 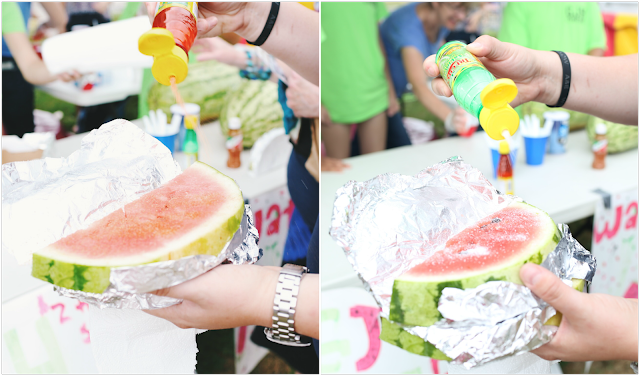 It’s manifested in small town festivals such as Watermelon Thump. And honestly It’ while I’ll never leave, why Texas will always be home. So, if you didn't catch on by now Ozarka sent me a few Texas products to munch on. Y'all already know I'm all about shoppin' local. The ones posted above I took on my trip and munched out on. Ozarka: That delish water comes from Texas obviously. Ya'know East Texas has my heart and so does the water. Plus they employ thousands of Texans. That's my kind of business. Snows BBQ: When I saw the BBQ sauce in the box I was to excited. Eatin' BBQ at Snows is on my #TravelinTexan list. So, until I can make it out that way the bottled sauce will now have to do. Did you know they are always on Texas Monthly BBQ list as the best in the state. Pause, Texas BBQ week starts the 10th of July. If you don't know about it then I'mma need you to get on it. 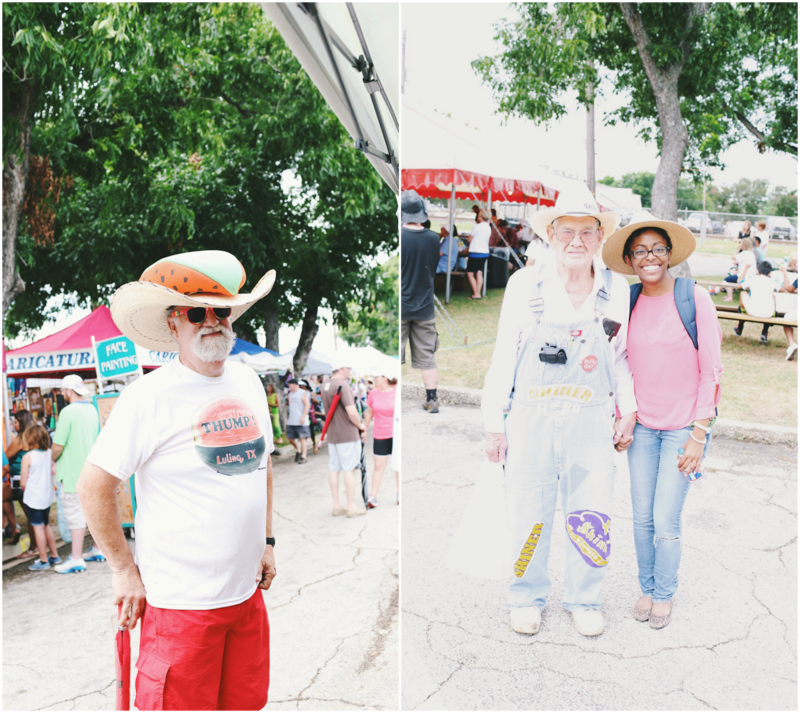 Every year I spend almost every day eatin' BBQ with bestfran Sherry. 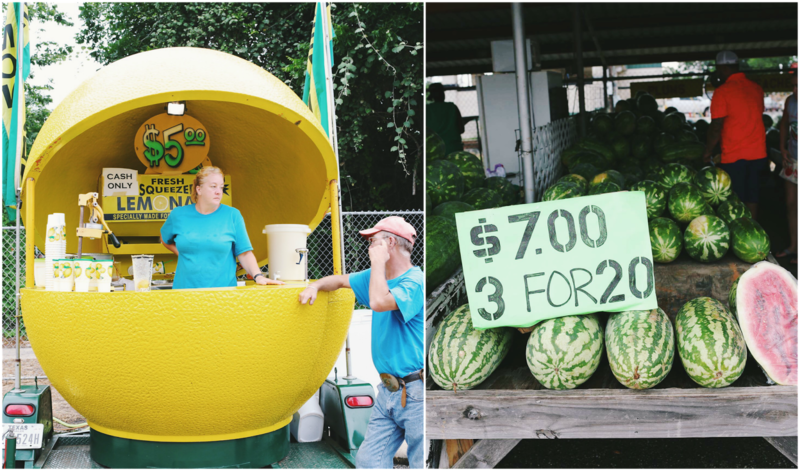 Essentially some of the best places in the state team up with Texas Monthly to provide deals. If you are in Dallas I recommend Pecan Lodge, Lockhart's or Peggie Sue's. Everyone knows I stalk Lockhart's, but all are fine choices. And Lockhart's is right by Emporium Pies. Some of the best pies this side of the Trinity River. For those not near Dallas click here to find a place close to you participatin'. 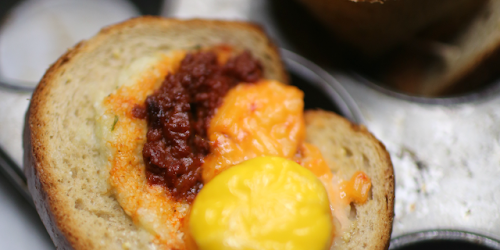 Jelly Queens/ Taste Elevated: Now, I'll admit I'm new to Jelly Queens and Taste Elevated. But I can't wait to use some of the items on our 4th of July cook-out Monday. Be lookin' for that post and I'll go in more detail.